Item number Sa265 from the MOA: University of British Columbia. Loom rope consisting of an agave fibre ? 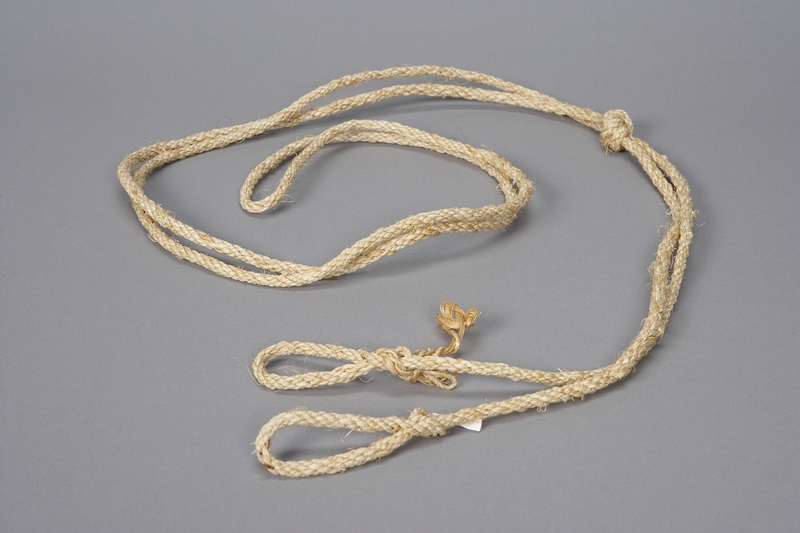 strand made of two twisted pieces of twine with small knotted loops at the ends. Rope is tied near the bottom to form a large loop at the opposite end. 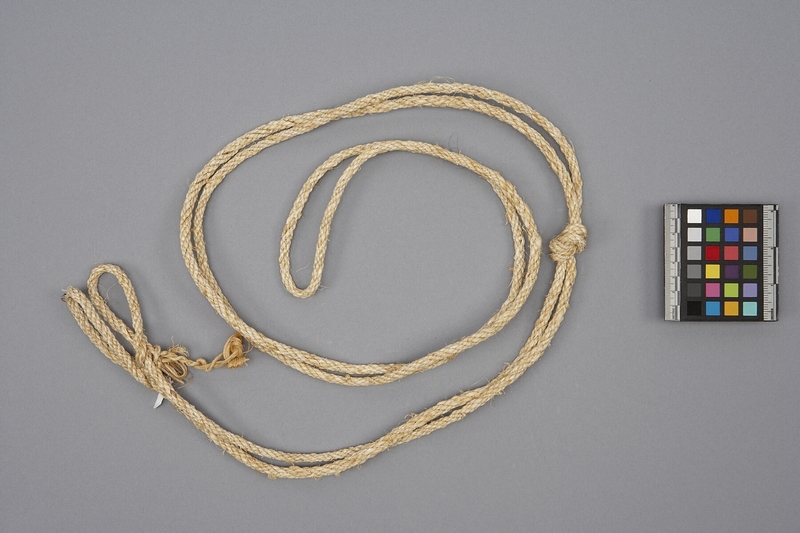 Rope used to tie a back strap loom to a stationary object such as a tree or a post.